Sometimes I crave something green. I think it's my body telling me I'm lacking something in my diet. I really do believe our body tells us what we need, if we care to listen. 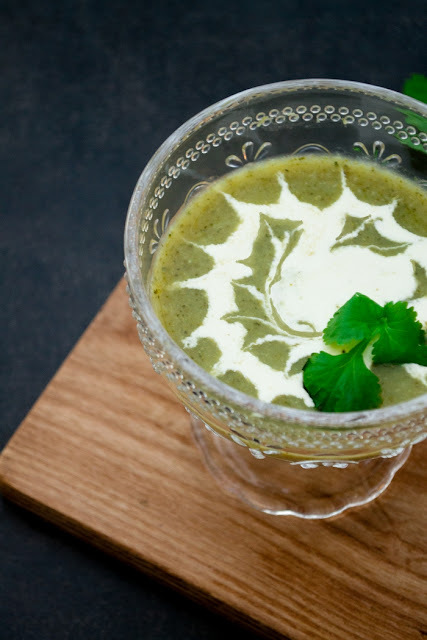 The green in this case is a luxurious broccoli and spinach soup. It's the simplest thing to make and rather frugal too if you're watching your pennies this month. I know I am, especially with a tax return coming up. EEK! Now my boys weren't overly keen. I think they go on high alert if anything is green. Cooper instantly decided he wouldn't like it, but with a bit of persuasion he ate most of the bowl. Graham ate two bowls of soup and said it was good but not his favourite. See what I mean? I thought it was heavenly and just what I needed. Plain for a pure green hit. With a swirl of cream (or soya cream) for a touch of luxury. Topped with grated cheddar (or vegan cheddar). With a glug of cream and some grated cheese, BOOYAH! I have to admit I love it with a slosh of cream and some grated cheese. Oh my it's good and feels slightly wicked. Come to me my lovely! This soup is definitely healthy. My body is very wise when I choose to listen to it. 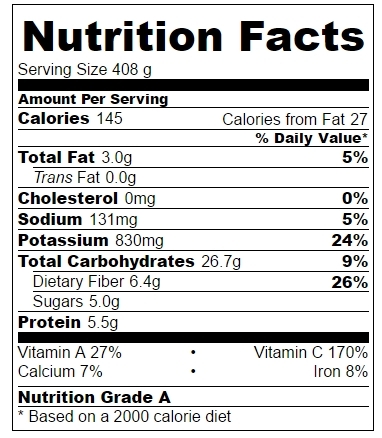 Of course I did add to these calories by adding a grating of cheese and a splosh of cream, even if it was dairy free, but look at all those vitamins and minerals. Without the toppings this soup makes a great meal for the 5:2 diet. It will fill you up and leave you with enough calories left for dinner. 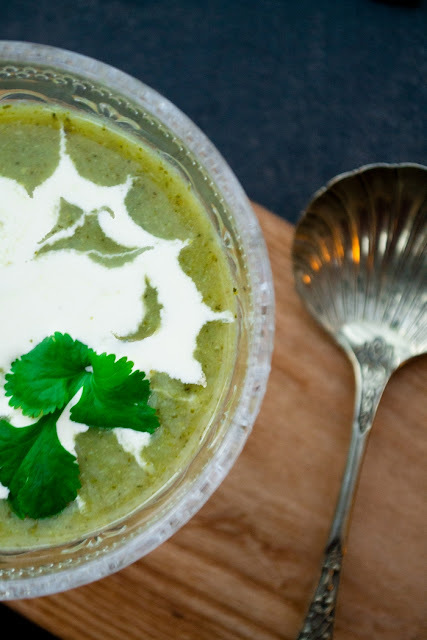 So if you're feeling a bit under the weather, if you have a cold or your body is just telling you that you need something green, then this is the soup for you. This pot of soup costs just £2.30, that's just 38p per portion. An easy broccoli and spinach soup. High in vitamins and nutrients but cheap to make. Only 145 calories and 38p per serving. 1. Saute the onion, garlic and celery in a large pot with the olive oil until soft.2. Add the courgette, potatoes, spinach and broccoli.3. Pour in the stock and bring to the boil. Reduce to a simmer and cook for 20-25 minutes.4. Blend with a hand blender or in a stand blender then season and serve.5. Enjoy! 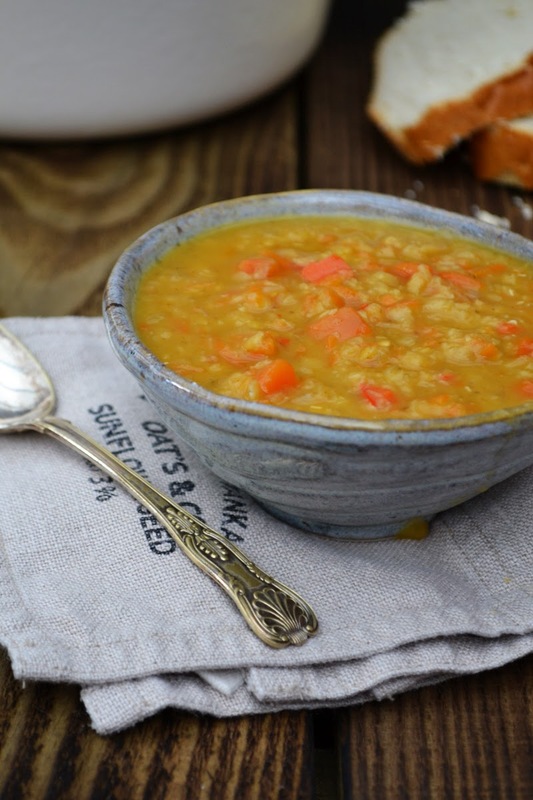 If you are looking for another frugal and healthy soup that's easy to make, try my Fridge Lentil Soup. Only 35p per serving. I love spinach and this looks really lovely and fresh! That's a good way to do it Johanna. I always have a bag of spinach or kale in the fridge and it's so easy to throw some into soups, stews, pasta and smoothies. The soup looks great. With the weather being cold, I love having soup with crusty bread. Spinach and broccoli sound so healthy too. Such a delicious sounding soup! I'm trying to slim at the moment (how is it that I can put on SO much weight so fast when I stop exercising?!) so this recipe sounds right up my street. Oh boy it is so easy Elizabeth, especially in the winter when our bodies are telling us to fuel up for the cold weather. I hope you enjoy the soup. 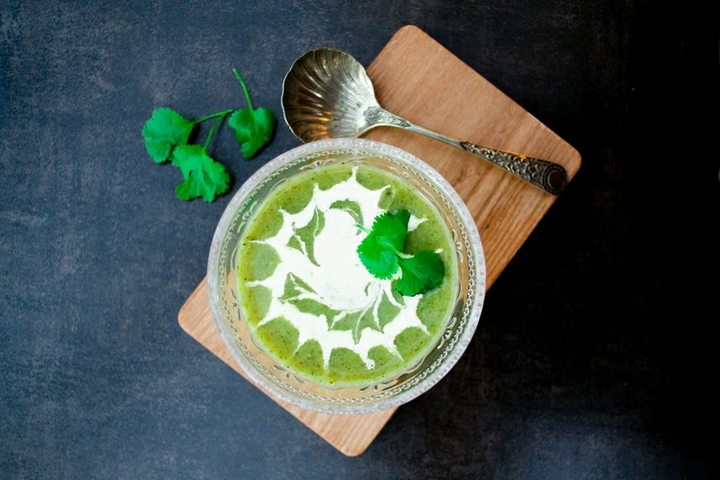 I love broccoli soup and this looks seriously delicious! What a gorgeous sounding soup. I just love that bright green colour. It is a good colour and tasty too. It looks fresh and delicious, love that colour. You're absolutely right, our bodies tell us what we need (shame mine sometimes insists on chocolate) and I'm after green but comfort at the moment, this would really hit the spot! Perfect way to pack in all the greens! It's so good isn't it and yes cream and cheese do add a touch of luxury. I recommend it, dairy or dairy free! Yes it does improve with a touch of cream, although yoghurt is good too! Definitely. I hope you enjoy it! Yes they are definitely amazing with a spot of cream and some cheese, be it veggie or vegan!